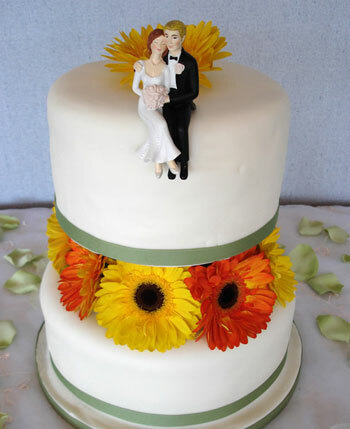 Sometimes cute, sometimes serious and often funny and quirky, wedding cake toppers add the final touch to any wedding cake. 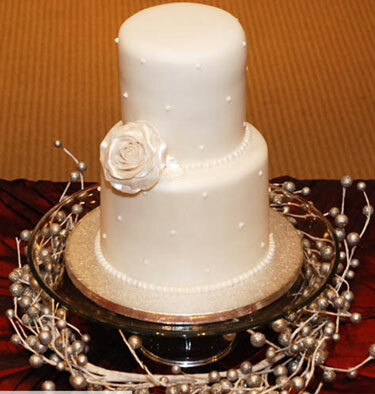 As the crowning glory of the display cake (real or fake), choosing the right topper is an especially difficult task, especially when so many different options exist. 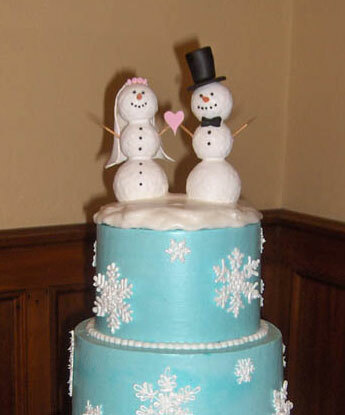 We ran a first, quick guide to wedding caketoppers, last year. 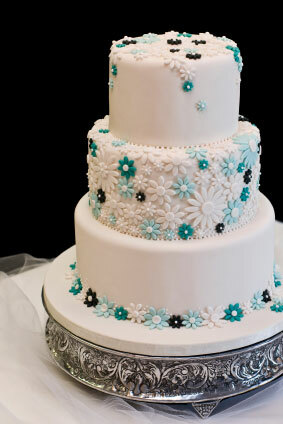 It proved to be one of our most populart stories ever! (over 30,000 readers so far.. 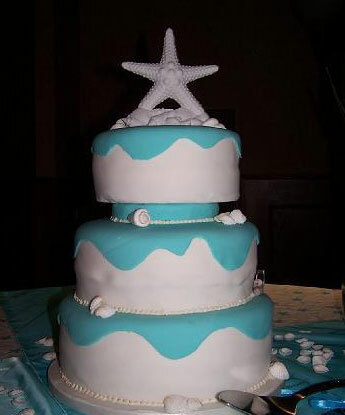 wow!) 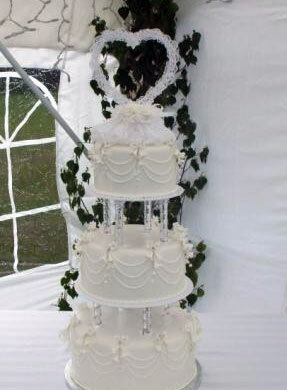 So here is our updated/upgraded, completed Wedding Cake Toppers 101, for 2010. 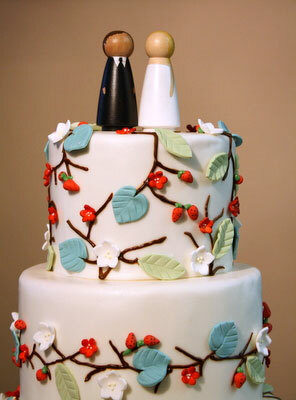 A couple standing proudly atop the wedding cake is the most traditional form of wedding cake topper. 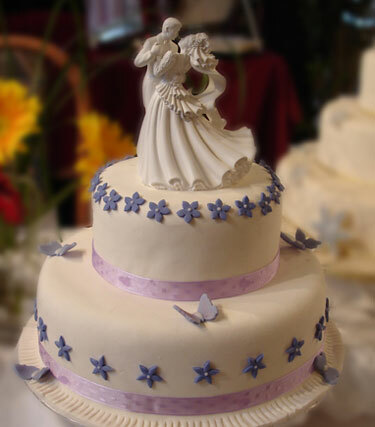 If you like this but want to add a special twist to it, there are many variations of the bride and groom theme, from the comical (bride dragging groom, or groom fishing for bride etc) to the personalized (replicas of you can be made into a topper based on a recent photo). 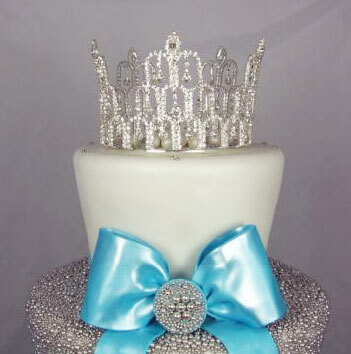 A tiara or crystal heart are often used as toppers to add shine and sparkle to the cake. 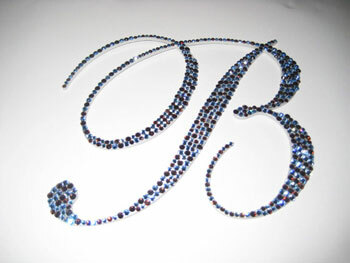 Add some variation to this by choosing crystal monograms of your initials. DIY? 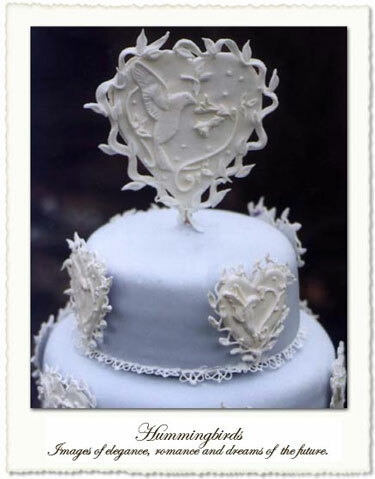 create a tiara, heart, or your initials from a cardboard cutting, then paint and decorate the creation to suit the cake and wedding theme. 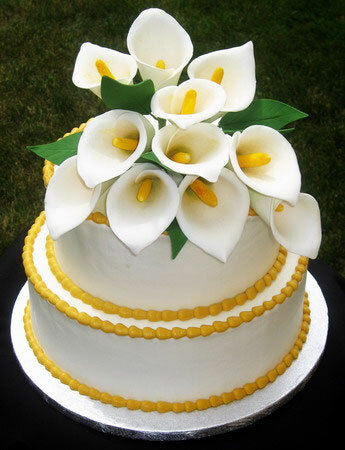 A delicate and beautiful addition to any cake, flowers (edible or real) always are an excellent choice. 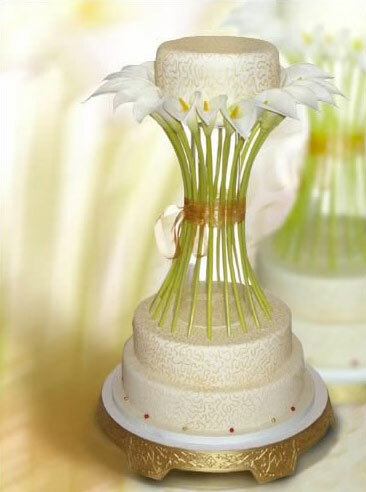 Many couples use the toss away bouquet as the cake topper, allowing it to adorn the cake until it is time for the cake to be eaten and the bouquet to be tossed. (One expense, two uses, savvy!). 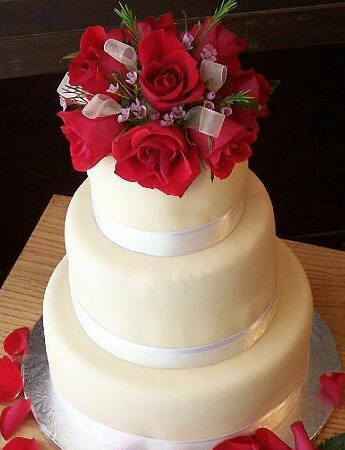 Another gorgeous flower cake top! 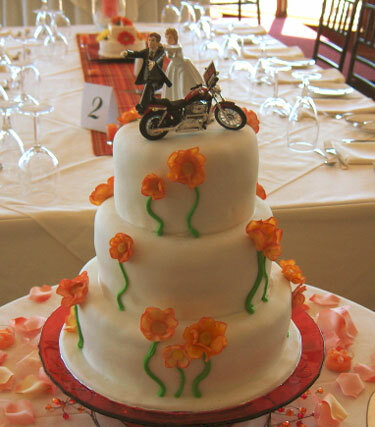 These toppers usually reflect the theme of the wedding. 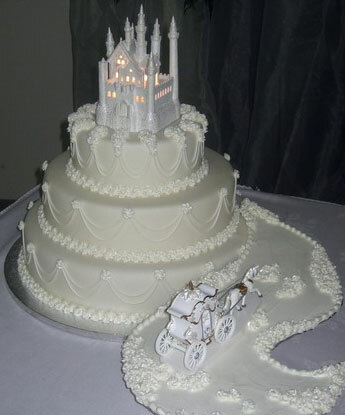 For example, a snowflake would be the perfect addition to a winter wedding or an Eiffel tower would be fantastic if you are planning a honeymoon in France. 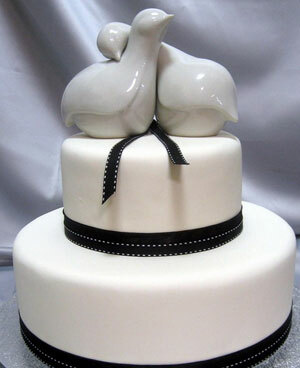 Doves, swans, love birds are all excellent choices for wedding cake toppers as they are synonymous with weddings and love. 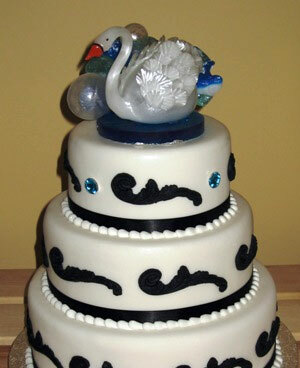 Other animals make great choices if they are meant to reflect the couple's personality. 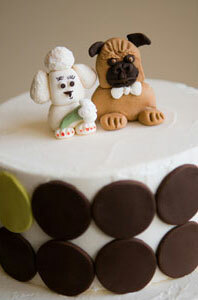 For example, puppies would show the couple's affection for dogs. 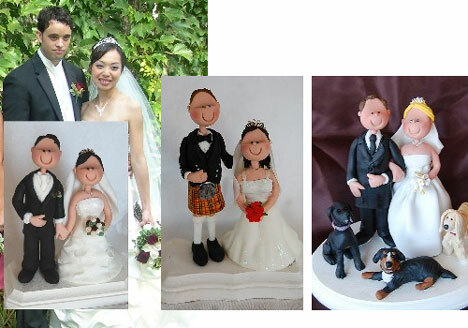 Cartoon style toppers depicting the bride and groom in a comical way add personality to the cake. 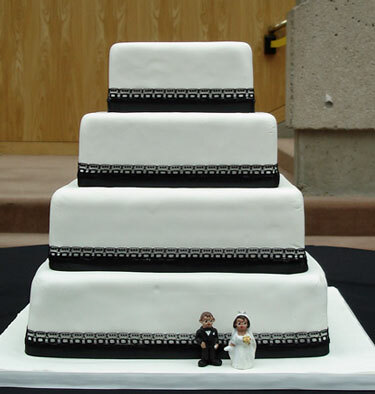 from Mara Luiza's "little people"
Whimsical DIY Caketopper Idea: LEGO! 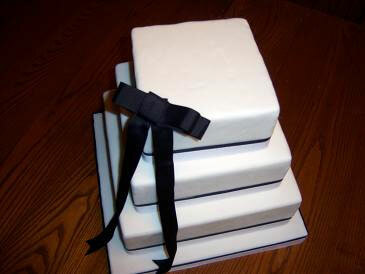 Many couples are choosing to go the minimalistic way and have a wedding cake without a topper. 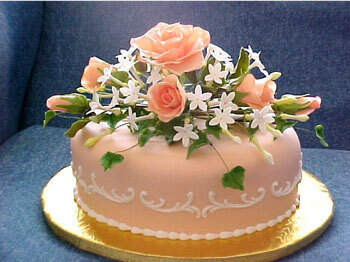 This allows the beauty of the cake itself to be the focus without any further distraction. Also, in today's economic times, the missing topper would make the couple appear "savvy-chic". 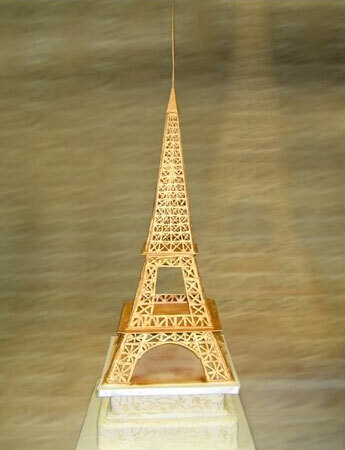 Funny & unexpected twist: the couple has left the bulding! 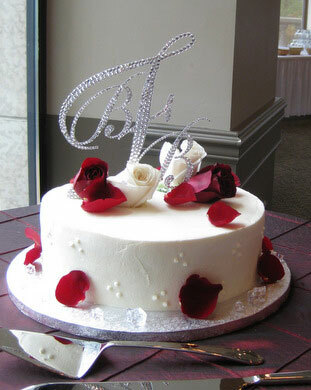 Another brilliant cake décor variation by..